Local ice-cream-van-man Ken Murray and wife Janelle has won a six-month contract to set up his truck at Thirroul Beach throughout summer. Ken has lived in Thirroul for 45 years and before that, Austinmer. In fact, Ken attended Austinmer Primary School almost 50 years ago, so you could almost call him a local! Renovation work at the Thirroul Beach pavilion has seen Flanagans closed, so Wollongong Council put out for tender the rights to set up a food van at the beach over summer. That tender has gone to Ken’s Cones. Ken has had his trucks at every major festival across the Illawarra for the last 22 years. For the first 11 it was popcorn, snow cones and fairy floss. Now it’s ice creams, drinks and fairy floss, which is what he’ll be selling to Thirroul beachgoers in the coming months. “When I heard about the tender process, I got straight onto it,” he says. “We have worked every major festival and most school fetes across the Illawarra for the last 11 years, including at jobs for Westfield and Bunnings. “We provided 400 ice creams at a wedding anniversary function at Balmoral Beach recently and we’ve also done more than 30 weddings over the years, providing a novel dessert, so we have plenty of experience to offer. We also spend the holiday periods down in Ulladulla because that’s where the people go. In fact, that’s where a lot of people from the Northern Illawarra go,” he laughs. NOTE:- Ken is also involved in the Lions Club of Thirroul. 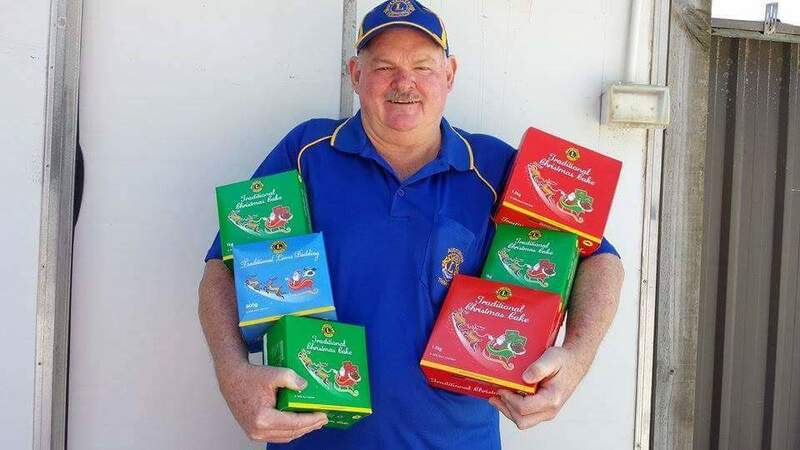 He raises thousands each year by selling Lions Club Christmas Cakes. It’s not too late to order yours. You can order yours by sending Ken a message on 0411 242 007 or via his FACEBOOK.